I’ve not been around online much recently. I’m a bit embarrassed that this is my first new post in a month, although I do have a number of very good reasons. There were a few days of being unwell; quite a few more of job-hunting and soul-searching (resulting in the Big Life Decision to not take the excellent position I was being offered, in order to dedicate the next several months to writing the concluding volume of the ®Evolution trilogy – cue lots of deep breaths and sleepless nights); the kerfuffle of transferring from one friend’s flat to another’s, due to builders being in; and the search for my own flat, which to my immense relief and satisfaction was finally concluded last week (hello Victoria Park!). But the thing that has demanded the biggest chunk of my time and attention over the past four weeks has been editing. 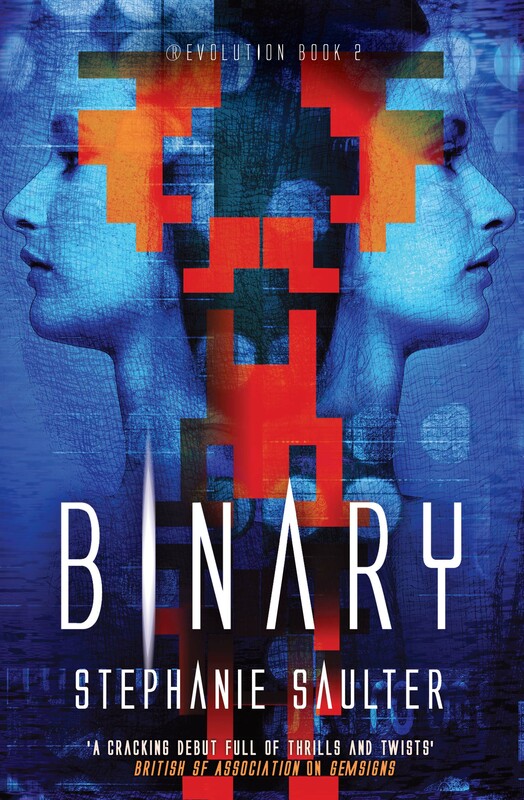 Although my second book, Binary, is out in just over two months, a dearth of available copy editors meant that I only got the manuscript back for my review and any final changes at the beginning of the year. (It’s also a big part of why my editor – who, by the way, has the additional responsibility of the entire publishing enterprise that is Jo Fletcher Books – works seven days a week, bringing her considerable skills to bear in order to plug that gap.) Even after the ministrations of the copy editor, followed by two weeks of my own scrutiny (I hasten to add that about half of this was spent on polishing the story, not just the copy), Jo and I went down to the wire a week later, correcting commas and paragraph breaks, tweaking tenses and phrases. The book that was sent off a scant few hours later to be typeset is much the better for it, which makes the apparent shrinkage in editing as a profession, along with the value placed upon it, so dispiriting. And I don’t just mean copy editing. The ability to look at a text with a critical eye, appreciating its good qualities but also identifying any implausibilities in its plot, inconsistencies in its characterisation and flaws in its prose, is crucial to the quality of the finished work and happens long before the copy edit. Whether what emerges from that structural review are minor modifications to said plot, characters and prose, or a major edit involving significant changes to the way the narrative is organised and constructed, it is unimaginable that, from first draft to published volume, there are no improvements to be made. Although, sadly, that is what too many authors, and indeed their publishers, seem to think. I recently picked up a novel that I’ve been dying to read, by an author who I already knew from their online media presence (which is much more disciplined and consistent than mine) and convention appearances to be intelligent, articulate, interesting, and a builder of complex worlds and layered, intricate plots. The book should have been right up my proverbial street – and I made it about 80 pages in before giving up (I’d have chucked it across the room at 40 had I been less enthusiastic about the author). 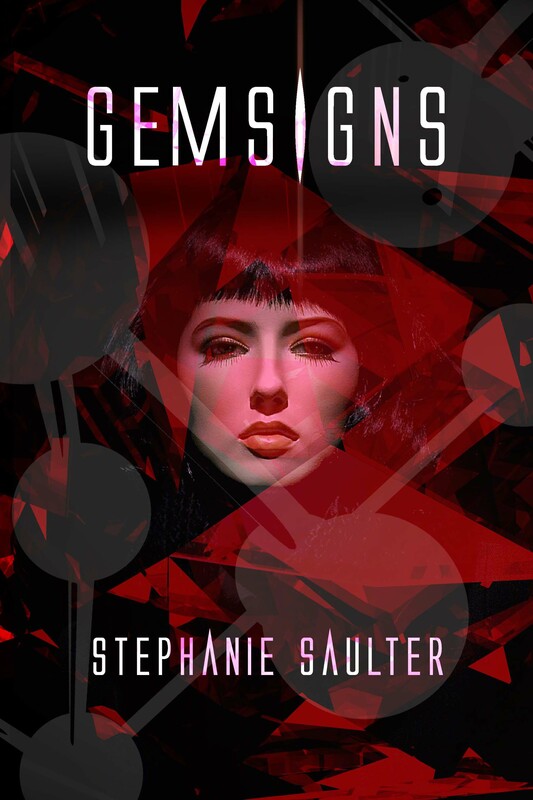 I could see that the worldbuilding and twisty plotting had been meticulously thought through, but the plausibility of the characters and quality of the prose veered wildly from one scene to another, indeed at times from one paragraph to another. It was clunky. It was awkward. The story was clearly there, but it read like the first draft that you dump willy-nilly onto the page in your haste to pin your ideas down before you lose them. It read like it hadn’t been edited. Now I have no idea what this particular author’s creative process is like, nor do I judge it; there is no single right way of doing things. I tend to do a lot of editing as I write, which is supposed to be a no-no, but it works for me. And I start each day’s work by reviewing and editing what I did the day before – which usually results in the loss of around 10% of the previous day’s words, further tightens and polishes the prose, helps me pick up on any plot or character problems I might be writing my way into, and gets my head back into the place and the mood of the piece. Then the whole thing, from opening sentence to final paragraph, gets reviewed and edited by me at least – at least – once before it gets shown to anyone else. I bite my nails for a few weeks (or if I get the timing right, go on holiday); then I take the initial feedback from editor, agent and beta readers, and work through the manuscript, soup to nuts, again. The result goes back to the structural editor, who reads it a second time and identifies anything that still doesn’t quite click. If there were major problems at that point the script would come straight back to me (this has never yet happened, I’m glad to say). Otherwise it goes on to the copy editor, while I get a note about anything the structural editor recommends I take another look at when I’m going through the copy edit (this is what one of the two weeks I mentioned at the beginning were spent on). The copy edit itself is mostly concerned with correcting punctuation and grammar, suggesting better words and phrases (and in my case, because I lived in the States for many years and Americanisms still sometimes slip through, replacing them with the British equivalent), and pointing out any inconsistencies within the book (and between books, if it’s a series). Are you counting? That’s at least five editorial passes so far. And there is still one final chance to make minor edits, at the page proof stage. This is the typeset manuscript, the pages as they will look when bound between the covers and placed on the shelves at your friendly local bookseller. You do not want to have many – or, preferably, any – changes at this stage, but the point is you can. There is no single right way of doing things, and not everyone will be as obsessive about this as me (or indeed my editor). But every book that finds its way into print with an indie or imprint or small press or major publisher will have been read by someone besides the author. That person will most likely have ‘editor’ somewhere in their title. And if a book that ends up printed and on sale still reads like an unedited first draft, what, I ask myself, is that person doing? Why are they not doing better by their authors? Are the authors ignoring them? Or are the titular editors ignoring what that role requires of them? I don’t doubt there will be readers of this post whose reactions will be something along the lines of: But isn’t it up to the author to be able to write well? That’s what talent is about, surely. And yes, it is. But not even the most talented among us can do our best work in a vacuum. We need feedback. We need criticism. We need people who are themselves talented at unpicking the threads of narrative, and are willing to say to us: This is good, but it could be better. Here’s where it fails. Here’s where you can fix it. And, even when the content is as good as it can be, we need people who can wrangle copy. We need to acknowledge the importance of how that well-structured story, with its believable characters and elegant, punchy prose is presented to the reader. I recently read another novel, the third in a very successful series; and I could tell that the copy editor had been changed, or gone AWOL, or fallen asleep on the job, somewhere between books two and three. The author’s plotting, characterisation and prose were as enjoyable as ever, but it was full of what I could only assume were uncorrected typos: what was clearly intended to be two sentences separated by a comma instead of a full stop, full stops where there should have been commas, ‘their’ instead of ‘there’, quotation marks opened but not closed … you get the idea. The quality of the story was high; the quality of the text was – not the lowest I’ve seen, but definitely mediocre. If it had been the first book in the series, it might well have prevented me ever picking up the second. This stuff matters. None of us who write fiction want our readers popped unceremoniously out of their immersion in the worlds we construct. None of us who read it want our own suspension of disbelief to be punctured – whether by a misspelled word, a continuity error, an implausible plot twist or a badly turned phrase. Speaking as a reader, I want more than just a good story – I want it so well told that it beckons me back for a second visit, and a third and a fourth. As a writer I want to tell my stories that well. So this is more than just a rant: it’s a call for readers and writers to take a good hard look at what we consider to be an acceptable level of quality in professionally published literature. Talent and imagination are essential, of course, but we need to value more than just creativity. We need to value craft. We need to ask for, and accept, criticism. We need to appreciate technique. We need to remember that making art is not an artless enterprise, and that carelessness is not rewarded. We need to honour the gatekeepers who make us better at what we do, and to demand of them that they keep on doing it. We need to be willing to edit. And be edited. P.S. While I’ve been writing this post the Binary page proofs have come in. Guess what I’m going to be doing this week? I’m going to be published! I’m going to be published! Well, I’ve given it away with the headline, haven’t I? The radio silence for the past several weeks has been because I wasn’t yet allowed to talk about the only thing I wanted to talk about: the fact that I’d received an offer from a publisher, not just to publish the novel I’ve already written – which would have been unbelievably amazing in itself – but to publish three books. That’s right, the one I’ve written plus two more I haven’t. Yet. I am now in possession not only of a Book Deal, but of Book Deadlines. That’s fine. I can do deadlines. I’ve just about managed to come to terms with the fact that my book, my baby … which started several years ago with a fleeting mental image, which generated a concept, which grew into an idea, which then acquired characters and a narrative, but which still got written more-or-less by accident only last year … is going out into the world next spring, there to stand or fall on its own 400+ pages. I’m still a bit gobsmacked by that. I thought I’d get it out of the house eventually, but so soon? It’s a big enough thing to wrap your head around that once you have done, the thought of having to provide it with a sibling a year for the next couple of years is not actually as daunting as it probably should be. Because, as my prescient (and proficient) agent Ian Drury foresaw during our very first meeting, my little 2011 writing project has become the lead novel of a science fiction trilogy; and as predicted in my Working Title post (written before any of this happened, I swear), the name of the novel as of this writing remains unconfirmed. Its original title, ®Evolution, will become the name for the series. 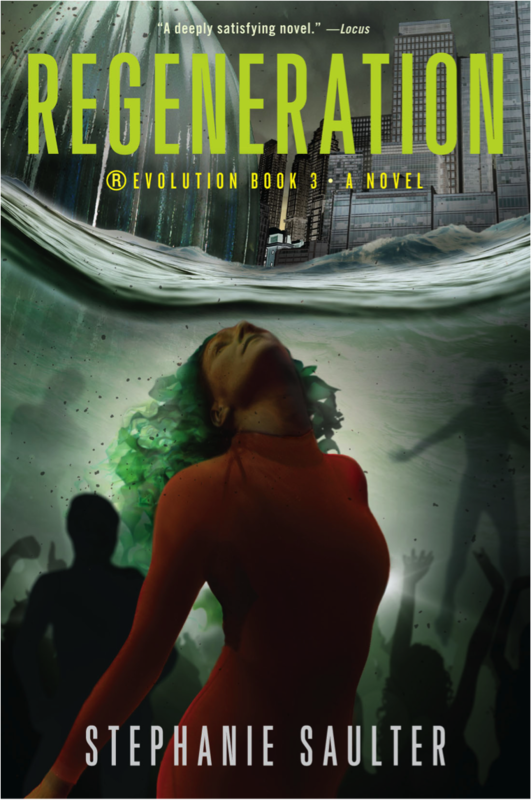 (Although poor Ian has, I think, been calling it the Morningstar trilogy at London Book Fair, given how undecided it all is, and Morningstar being the name of a key character – but it’ll be the ®Evolution trilogy, or saga, or chronicles, or something. I promise.) 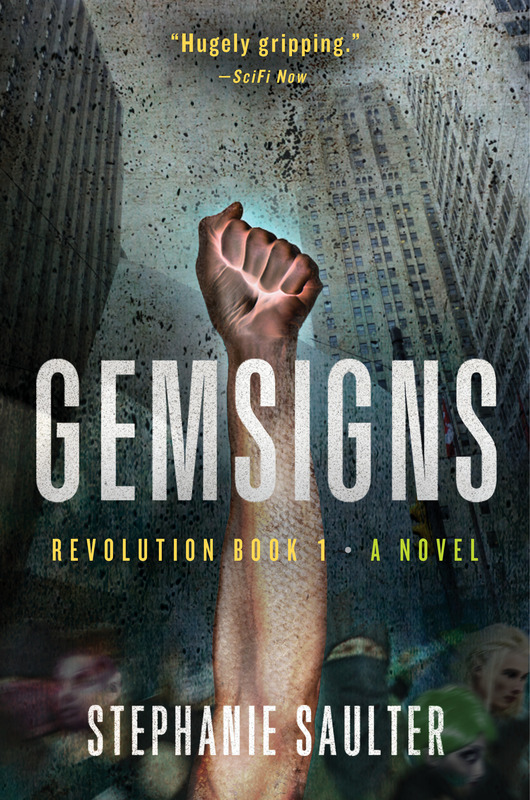 Book One has for the moment been rechristened Gemsign, and I’ll be posting lots more about it in the months to come. Oh, that reminds me. I’m an author now. Officially.